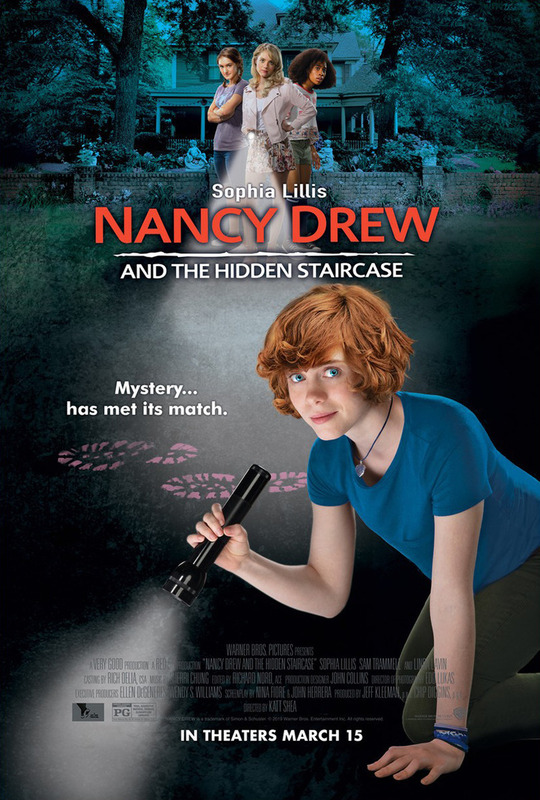 Nancy Drew and the Hidden Staircase DVD and Blu-ray release date was set for April 2, 2019 and available on Digital HD from Amazon Video and iTunes on March 26, 2019. Teenage sleuth Nancy Drew is thrust into an unfamiliar environment where she struggles to become a part of a new social group. As a mystery begins to unfold, Nancy and her new friends work together to puzzle out various clues. The process for Nancy Drew is more than just solving a riddle. It's also about self-discovery and finding out how she fits in with her new circle of friends and family. DVDs Release Dates is the best source to find out when does Nancy Drew and the Hidden Staircase come out on DVD and Blu-ray. Dates do change so check back often as the release approaches.